Dessert at Victoria's Grand Pacific Hotel. Sue Frause photo. On Oct. 11, 2008 the initial round of Canadian ticket sales for the 2010 Olympic Winter Games will begin. According to the Vancouver Organizing Committee for the 2010 Olympic and Paralympic Winter Games (VANOC), half of all tickets are priced at less than $100 and 100,000 tickets are priced at $25. Tickets for some of the most popular events such as the Opening and Closing Ceremonies will be less expensive than those in Torino and Salt Lake City. But a recent article by The Associated Press titled 2010 Vancouver Olympic tickets: a cool $775 doesn't make the announcement seem quite so rosy. Tickets will be made available in phases, with lotteries for the most-requested events. An online ticket buy and sell exchange program will allow spectators who can't attend events to exchange their tickets with others who can. 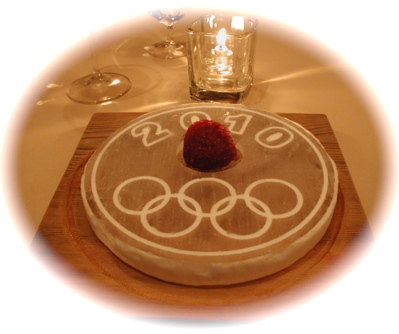 The 2010 Olympic Winter Games are February 12-28, 2010. To receive updates on ticketing information and other Olympic news, sign up at the Vancouver 2010 website.